I decided to take the $5 Slow Food Challenge and cook an easy, healthy, vegan, and most importantly, CHEAP meal for a few friends this weekend. 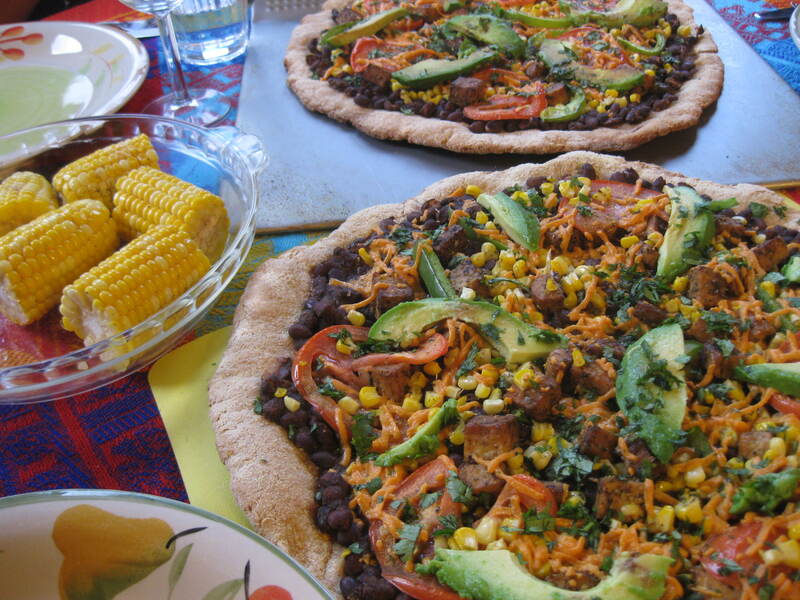 This is a recipe from a previous post, Mexican Pizza but with black beans this time, and some leftover corn on the side. 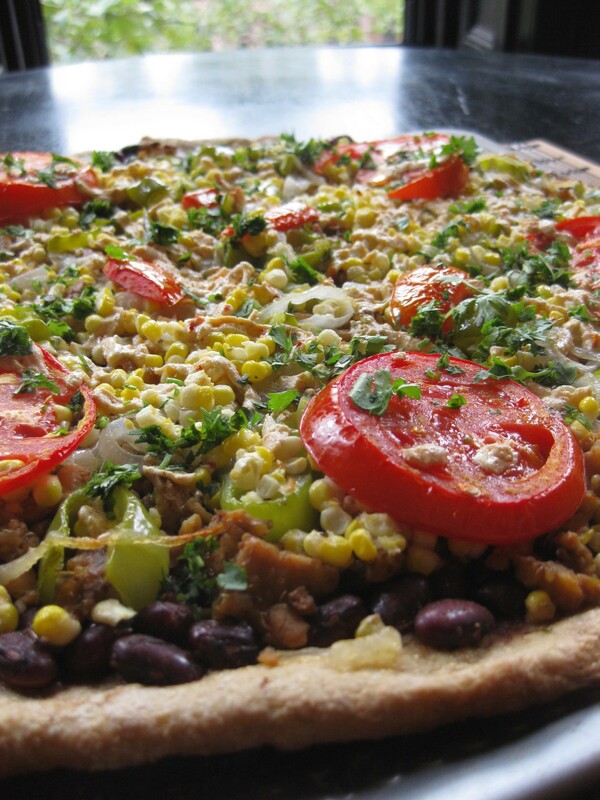 I chose it because it was the cheapest thing I could think of to make from scratch without having to buy too many ingredients, and everyone loves pizza (duh.) Plus, it went perfectly with my new Mexican tablecloth that I just got while on vacation last week! The goal was to spend less than $25 to feed five people, and I was actually under budget if I don’t count the spices and olive oil that were already in the cupboard. The flour, cornmeal, and yeast were bought in bulk from the Bushwick Food Coop, which is why they’re so cheap. It pays to join a local coop! I froze the bananas and put them through my champion juicer on the homogenizer setting to make a custard for dessert. I know not everyone has a juicer, but you could also just use a food processor or blender to make a creamier pudding. And my total was just $22.40 (plus pizza leftovers for breakfast and lunch yesterday!) I did my best to use organic, local stuff, but I don’t get my CSA share until Wednesday so I went to my local grocery store for the veggies. Surprisingly, they had a small selection of local vegetables. So all and all, success. 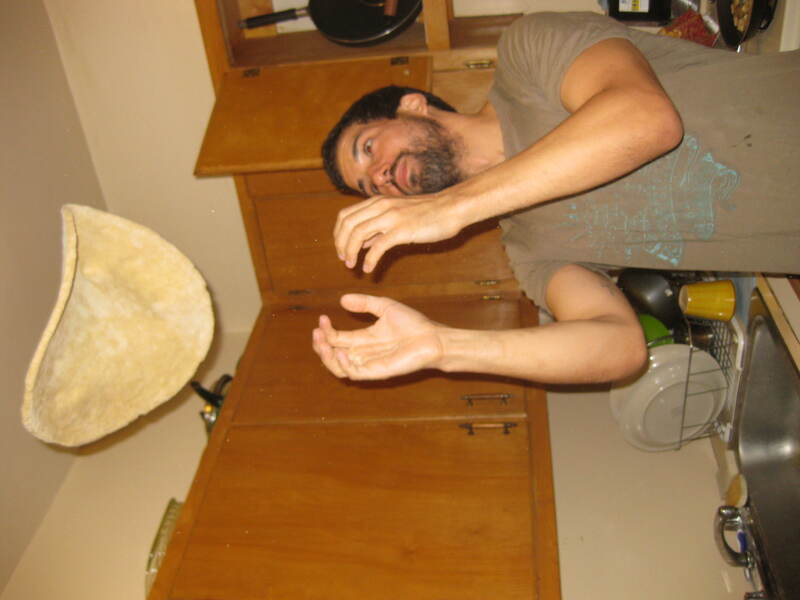 And Paul got to toss the pizza dough. 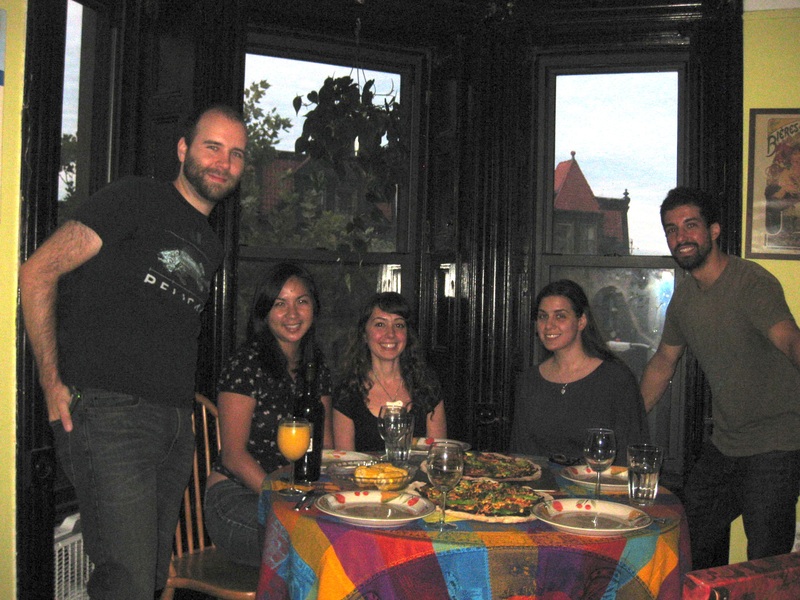 Look how happy everyone is to eat a $5 vegan dinner. Take that, value meals!